Cruising in South America opens your eyes to just how amazing this world is. With so many interesting ports and places to visit it is no wonder this part of the world is high on most avid travellers 'bucket lists'. South America is full of surprises. Amazing countries to tour such as Chile, Brazil, Argentina, Uraguay and Peru await. With some itineraries including Antarctica a trip to South America should be a must see destination on your cruising calendar. Princess have a long list of cruises to and around South America. Some 80+ night cruises depart from Sydney and Brisbane on a circle cruise around South America and back to Australia. Cape Horn cruises are also run by Princess travelling round the southern most tip of the continent. Celebrity has some great 7 night cruises around the Glapagos Islands. 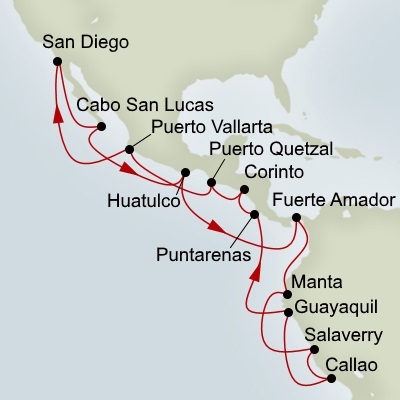 For a real taste of South America, Holland America operates longer cruises taking in some key ports in the region. 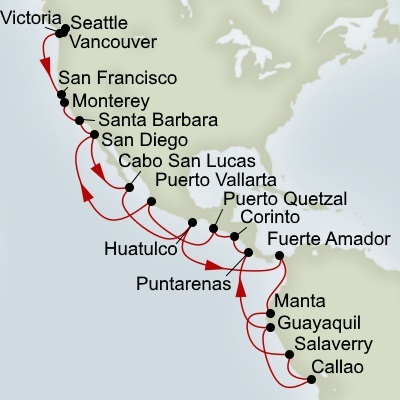 Holland America also operate some South America cruises including Antarctica. 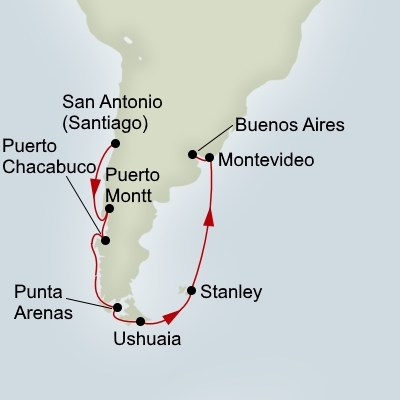 An enormous 67 night journey will have you experiencing all the wonders of South America in addition to Antarctica!. Smaller 21 night cruises are also available including Antarctica and South America. If you're looking for some Incan Empire Discovery cruises, Holland America has a number of different itineraries available. 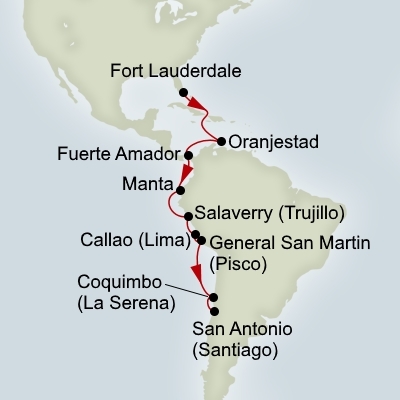 Seabourn and Silversea also operates some South America and Antarctica cruises. A Brazil and the Amazon Cruise is also a great choice. MSC have a number of short cruises with 6,7,8 and 9 night options on the North and South East coast. 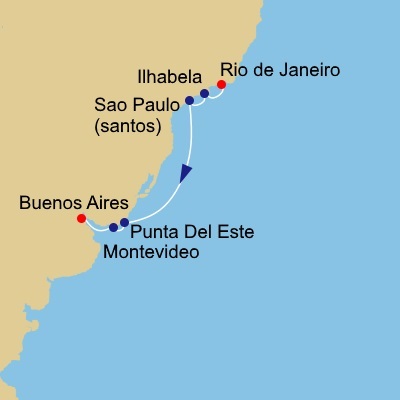 Visiting Rio de Janeiro, Buenos Aires and Sao Paulo these are popular routes. Royal Caribbean also have a number of shorter cruises from Sao Paulo to Rio de Janeiro to suit those on a budget and limited time. 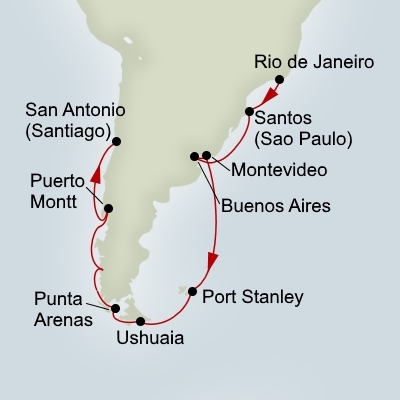 Medium length cruises are also available including Argentina, Uraguay, and Brazil.